January 23, 2017 1:29 pm. 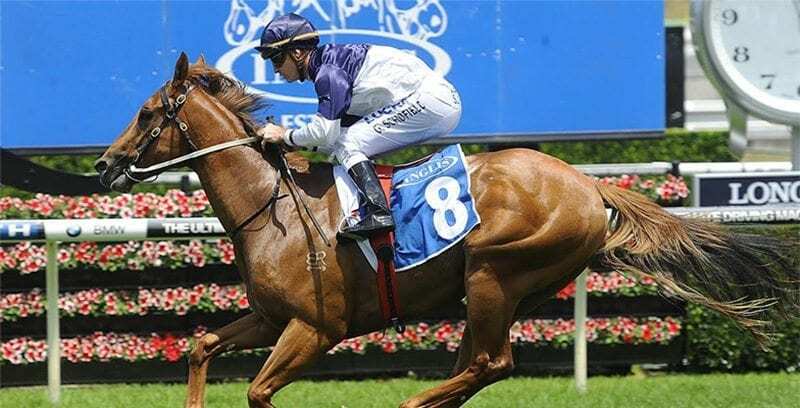 THE Blue Diamond Stakes is Victoria’s biggest race for juveniles with a purse of $1.5 million and Group one status. The 1200m sprint at Caulfield is held every February and it’s a target race for every trainer with a two-year-old talented enough to make the field. Some of Australia’s finest have taken out the Blue Diamond, which includes the likes of Redoute’s Choice, Alinghi, Manikato and in more recent times Sepoy and Extreme Choice. It is considered a stallion-making race it is extremely popular with punters. Markets open months before the race so punters get a look at the early all-in markets and also the fixed odds market when the field is released. 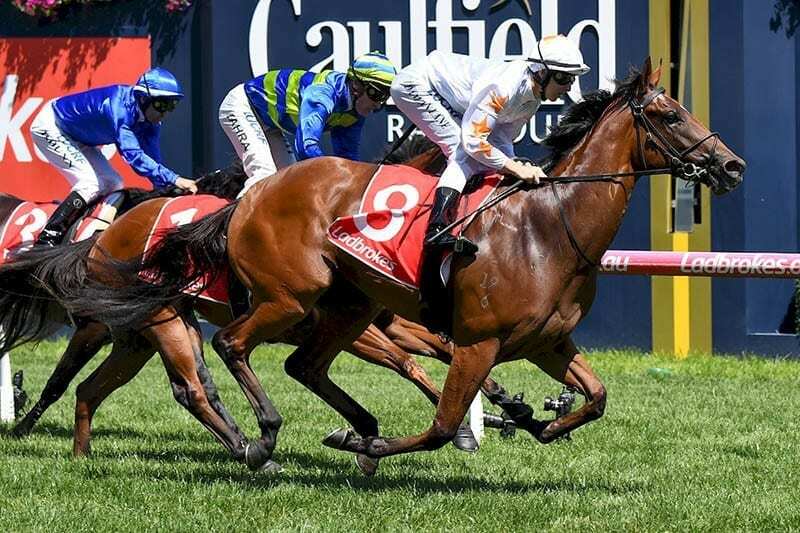 After winning the Group 3 Chairman’s Stakes at Caulfield Loving Gaby is the $4.80 favourite with online bookmaker Sportsbet to win the Blue Diamond Stakes. Athiri is on the next line of betting at $5.50 while Brooklyn Hustle ($7) and I Am Immortal ($8) round out the runners in single figures. One-time market leader Catch Me is at $10. The bookmakers are vigilant at getting early Blue Diamond Stakes markets out. Most of our recommended bookmakers open Blue Diamond markets months in advance, which gives punters plenty of time to sort out their best bets. The following bookmakers offer all-in and fixed odds markets for both the win and place. In one of the most open Blue Diamond Stakes it was the in form Godolphin runner Lyre that descended late to claim the prize. In a hotly contested race I Am Immortal made the early pace and led all the way through to the 200m mark when the swoopers came. Lyre came from the back of the field and made the most of the hot pace up front to streak away with the win. In a stellar Blue Diamond field where there was quality everywhere you looked the punters loved the look of Written By on the day of the race and the late plunge paid off. After turning heads with a eye-catching win in the Diamond Prelude, Written By jumped well and settled just outside the speed. At the 300m Written By took the lead and streaked away, recording a powerful win under Jordan Childs. Craig Williams had a pick of many Blue Diamond rides and he chose the right filly in 2017. Catchy was brilliant in winning the Blue Diamond after settling back throughout the run and storming home to defeat favourite Pariah in the concluding stages. The win extended Catchy’s winning streak to four with Lindsay Park Racing training three of the first four runners home. Extreme Choice justified its favouritism tag by scored an easy win over stablemate Flying Artie. The Mick Price-trained colt looked the goods heading into the race and after sitting wide on the pace early, it took over with 300 metres to go and kicked away for a 1.8-length victory. It would later run as one of the favourites for the Golden Slipper, but after missing the kick its chances were extinguished. The Not A Single colt paid $2.75 in the betting and Craig Newitt was the winning rider. Pride Of Dubai scored its biggest career win when downing a $101 outsider in the last few strides. The Peter and Paul Snowden-trained colt settled midfield and received a checkered run in the straight, but it was able to balance up and sprint late to beat $101 chance Reemah on the line. The son of Street Cry would later run greenly in the Golden Slipper, costing itself the race, but it’s Blue Diamond win was a standout at odds of $6. Peter Snowden trained the first of two consecutive winners with Earthquake in 2014. The Exceed And Excel filly was highly touted leading into the race and it didn’t let punters down. It won by 1.5 lengths after sitting just off the pace and kicking strongly to the line. The placings were filled by Jabali and Cornrow, which didn’t amount to anything, but Rubick and Malaguerra were among the beaten brigade. The next best filly in the race was Piacenza which finished well back in 11th. Miracles Of Life was a feel good story in 2013. The Not A Single Doubt filly was given a great ride by Lauren Stojakovic who was given a big responsibility to ride the $3.25 favourite. It kicked clear around the Caulfield turn before putting three lengths on the field. Stojakovic kept kicking on the filly to ensure the memorable victory. It was one of the best Blue Diamond Stakes fields of all time with the likes of Fast ‘n’ Rocking, Gregers, Shamus Award and Horse of the Year winner Dissident.